The chance to win an Isle of Man Golf Holiday with Dangerous Golf ends at midnight tomorrow. This is a fabulous competition with travel to the Island by sea included in the package. Golf at Castletown and Mount Murray is complimented with a stay at the Regency Hotel – one of our best hotels. You won’t have to worry about getting around either, transfers are included too. We’ll event show you parts of the Island you need to see = Isle of Man TT Circuit, historic castles and beautiful scenic Isle of Man countryside. Click on the Dangerous Golfer link for full details. Isle of Man Golf Holidays and Dangerous Golf play the the 5th hole at a rather brisk Castletown Golf Links today. Giving away a shot, Ged hands the famous ‘Road Hole’ to Dean in an exhibition of how not to play golf. This is the final few days of the competition to win an Isle of Man Golf Holiday. Dean from dangerous Golf and Ged from Isle of Man Golf Holidays went head to head in a challenge match at Mount Murray. Closely fought, the match finished all square with either player having a chance to win. Mount Murray is a fabulous Isle of Man Golf Course and is in great condition for the time of year. The boys hope to have the camera out again soon for another super cheesy golf flick. £249 ‘ALL IN’ Golf break on the Isle of Man. Our incredible Isle of Man Golf break includes travel to the Island and free transfers whilst you’re here. Play at Castletown Golf Links and any other two courses of your choice. This is SIMPLY THE BEST golf tour! Including all transfers between hotel, courses and sea terminal. Transfers are included and all you have to do is travel to the Isle of Man and we will do all the rest! Isle of Man Golf Holidays feature in the business news! Featured in the local press this week, Isle of Man Golf Holidays show the strength of having a leading travel agency behind the operation. Exciting golf apparel specialists Dangerous Golf have launched a competition offering a two round break on the Isle of Man. Make a purchase in their January sale and you will be entered into a draw for a great prize. Take a look at http://www.dangerousgolf.co.uk/sale and make an order from their fabulous selection of clothing. Competition to be launched on Boxing Day! Keep your eyes peeled for the fabulous Dangerous Golf competition. 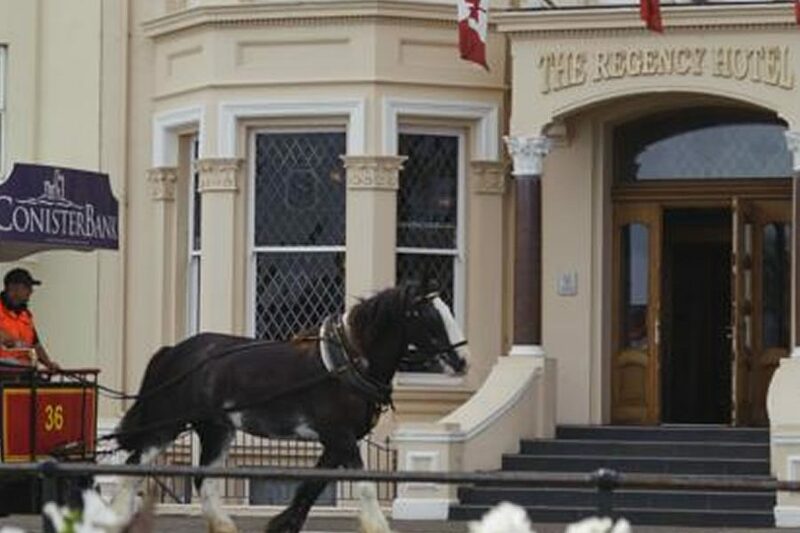 Weekend golf break staying at the 4* Regency Hotel in Douglas.